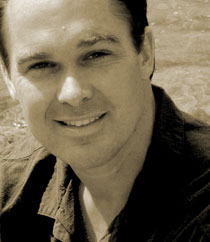 Bob Rognlien is an experienced pastor, church consultant, conference speaker, and published author. His passion is equipping leaders to multiply disciples of Jesus who are empowered to build missional communities that change the world. For over 20 years he has been leading people to the Holy Land on unique spiritual pilgrimages in the historical footsteps of Jesus. A graduate of Princeton Theological Seminary, Bob has also studied in Tacoma, Washington; Berkeley, California; Kent, England; Berlin, Germany; and Jerusalem. He has served as a church leader in northern and southern California, as well as New Jersey and Jerusalem. Bob is the author of Experiential Worship, The Experiential Worshiper, and Empowering Missional Disciples.